Connected Industries – Kirti Telnet Pvt. Ltd.
IoT in enabling buildings to work holistically in helping reduce inefficiencies, optimising the use of resources and creating a comfortable and productive environment. It will also look at the way in which smart buildings interact with the cloud to gain insights from the data gleaned to uncover actionable insights. Examining updating legacy machines and equipment with IoT technologies – examining the methods, results and pain points. Does enabling IoT improve on KPIs for production and resource consumption? What are the cost/benefit considerations when determining which options to go for? How to determine what the right data you need from legacy equipment is? How to get it, and how to get it as quickly as possible? Are we moving from reactive to predictive maintenance, and what role can ML play here? What about fixing problems remotely? 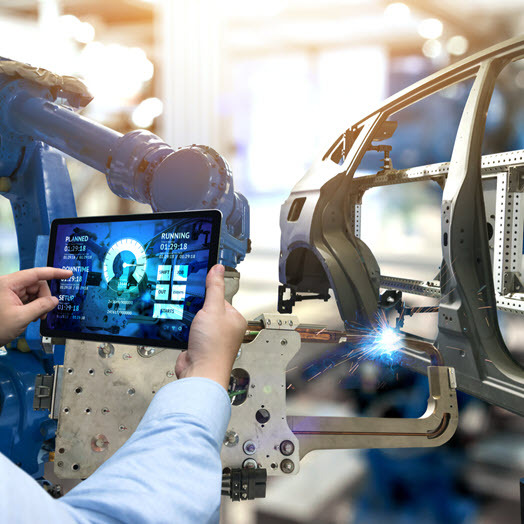 Looking at the way in which IoT-enabled smart manufacturing can provide visibility of resources, assets, processes, for enhanced productivity and better ROI. In addition to the IoT, this discussion will look at the impact of Artificial Intelligence (AI), machine learning, and Virtual Reality (VR) on manufacturing. What will the future of the workforce look like and how will digital labour in manufacturing and other industries transform the skills mix and focus of tomorrow’s workforce? What effect will the move from traditional methods to easily-created connected mobile experiences that leverage IoT tech have on new levels of human-thing interaction across the product lifecycle? This talk will address these questions as well as exploring what concerns your employees might have about adopting this new technology – from leaving a digital footprint to being replaced by smart technologies.